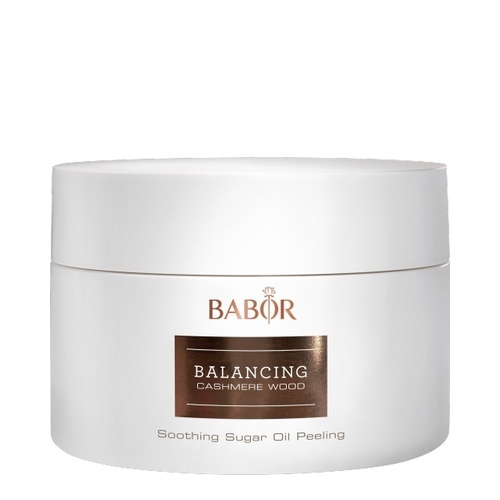 A smooth-textured, balancing sugar and oil body exfoliant with a warm, woody wellness fragrance. This moisturizing exfoliant is ideal for removing dead skin cells. Leaves the skin feeling soft and supple and gives it smoother, more even and velvety appearance. Thanks to sweet almond, argan and macadamia nut oil, the sugar and oil peel moisturizes the skin even as you exfoliate, leaving it soft and supple. Sugar crystals remove dead skin cells and refine the complexion. • Use the peel 2-3 times a week, preferably under the shower. • Wet your skin and apply the sugar and oil paste all over, exfoliate and then rinse off completely.